The practical task for Russia is to make Europe useful for Russia’s development and to shape a relatively safe environment. The current crisis and pause in Moscow-Brussels relations afford a unique chance to shed the burden of past problems and start new relations from scratch. We should sort out our values and get rid of the ballast generated by the bureaucratic inertia or false understandings of partnership. Russia and Europe are unlikely to evolve a common vision of the future: Their future is not to be placed together with but to co-exist next to each other. But it is high time we – Russia and Europe – at least articulate our interests and try to make relations predictable. For this, however, we need to answer three basic questions. Question One: Where do we stand now? The political relations between Russia and the European Union have hit bottom. The partnership that for 20 years was regarded as something stable and economically grounded has crumbled under the impact of Ukraine-related contradictions. The economic track record – a considerable amount of trade, particularly in energy – has been of no help. Attempts to restore former partnership in terms of both quality and form make no sense. A new order should not necessarily be directed at cooperation or integration. But it is necessary to arrest the slide into complete chaos and make reciprocal actions at least minimally predictable. Both Russia and the EU were insufficiently sincere with regard to each other. Russia repeatedly referred to its civilizational affinity with Europe and its desire to accept European values. But in reality, Russia’s aims were more pragmatic and amounted to obtaining comfortable access to European markets for its competitive goods, negotiating a visa-free travel arrangement, creating an equitable system of relations in the energy sphere, and preventing the EU from interfering in the internal affairs of Russia’s neighbors. The EU talked a lot about a strategic partnership and its desire to see a strong Russian economy. But its negotiators at the WTO talks sought to make Russia accept commitments that would have ruined entire sectors of its economy. And, in general, the EU policy was to “pin” Russia on all issues – just for the heck of it. Relations were emasculated to such a degree that the sides didn’t know what to talk about during their routinely held summits. Negotiations on a new strategic agreements ground to a halt in December 2010, long before the Ukraine crisis (and during President Dmitry Medvedev’s incumbency). And this was what made the 2014 breach possible: we had long ceased to talk to Europe in earnest. Moreover, the 2013-2014 crisis itself had been largely caused by the suspension of dialogue: the sides either ignored each other’s true intentions or preferred to overlook what they knew. Question Two: What do we want from each other? Russian and EU aspirations and interests have always been camouflaged by rhetoric on partnership, values and common interests. In the meantime, their interests were mostly extremely pragmatic and, when necessary, the sides went out of their way to defend them. What fatal mistakes have we committed over the last 25 years? To begin with, we should ask, whether the European values as such are identical to what is being suggested by the political elites and lobbies in present-day Europe? Given the existence of radical divergences of values inside the EU, they, most likely, are not. This means that the value component should better be kept out of working relations. “Russia’s European curse” cannot be dispelled by renouncing all the good things that we and the Europeans hold in common. We should give up the bad things, like credit dependence, corrupt food and drug trade, unilateral trade and economic orientation, and information preeminence. But what does Russia need in Europe, if not values? Technologies, markets for Russian products, and habitually comfortable vacation spots for all Russians hailing from the Urals and westward! These are the interests that should probably become the basis of relations with Europe. And they ought to be made clear to all our partners in Europe – individual states, the business community, the civil society, and finally Brussels. Where else can we cooperate or coordinate our moves with Europe? Possibly in upgrading global governance and giving shape to a new regulatory environment due to supplement, if not replace, the post-Cold War systems. Where else? This needs to be discussed, both with and without our European partners. So far, Brussels has been taking a classical imperial stance of denial vis-à-vis the Eurasian Economic Union (the way the USSR did in relation to the European communities until the late 1980s). Do Russia and its Eurasian integration partners need the EU to recognize the Eurasian integration? Both yes and no. On the one hand, this recognition and the establishment of direct relations will settle the problem of the EEU’s international legal capacity and competence. On the other, the Eurasian project will have to do a lot of internal work. So, is it necessary to get distracted by a full-scale dialogue with so difficult a neighbor as the EU? After all, the priority for now is an extensive dialogue between the EEU and China. How in general do our relations with Europe tally with Russia’s pivot to the East and its effort to create an independent growth center in Eurasia, yet another and much more important trend in its national foreign and economic policies? Russia’s pivot to the East has luckily coincided with China’s pivot to the West. This prepares the ground for synergy in our efforts. Moreover, there are no objective reasons why Russia and China should be rivals. Our development goals cannot be contradictory, unlike Russia-EU relations. Question Three: Where do we go? It’s highly tempting to “freeze” relations and take a 5- to 7-year pause. The crises within the EU and Russia appear to support such a solution. Even the Ukraine problem can be addressed without energizing Russia-EU contacts, all the more so now that the talks on consequences of Ukraine’s EU association, conducted throughout the latter half of 2015 between the Russian government, the European Commission, and the Ukrainian government, have yielded nothing. The EU and its Ukrainian clients had no intention of talking seriously from the start, while the majority of current practical issues can be addressed at the still-functioning working level. Is there any use discussing regional and international security with Brussels? Regrettably, its current role in this regard is insignificant. The leading positions are held by member-countries, both big and medium. 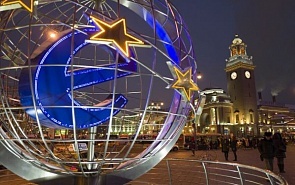 Russia is interested in the European project emerging from the crisis stronger than before. But what should we do until the crisis is over? The most applicable principle in this situation is subsidiarity. In certain cases, it’s both more convenient and advantageous for Russia to cooperate with different EU countries. In others, it makes sense to involve Brussels more actively. For its part, the EU will be able to interact with both individual EEU countries and the association as a whole. Do we need a new “grand treaty?” We don’t. This format was aimed at Russia’s incorporation into an EU-centric Eurasia. Today Eurasia is being built from the East, while the EU and its satellites are part of Pax Americana located on the westernmost tip of Eurasia. Even from a practical point of view, a grand treaty and an integral approach hardly correspond to the fragmentary nature of relations. Do we need a new institutional basis of relations and what can it be? Do we have to go on with partnership councils? What should we do with those summits that in recent years bored to death even the professional observers? How do we reconcile bilateral relations with our relations in the West (for Europe) and the East (for Russia)? More likely than not, the intensification of the two systems each consisting of firm mutual ties is irreversible. Our main strategic partners – USA and PRC – increasingly rival each other. We should understand what positive contribution Russia and Europe can make to global stability. We cannot help being worried by the refugee crisis in Europe. For the time being, the EU is unable to cope with the influx of migrants from Africa and the Middle East and the EU countries are looking for solutions at the national level. But what if a miracle happens and the EU coordinates a common policy? How will the resolute shutting of the European doors affect Russia’s security? We shouldn’t hesitate to discuss these issues with our European colleagues, even now. The practical task for Russia is to make Europe useful for Russia’s development and to shape a relatively safe environment. For this, a serious expert and political dialogue is necessary, one free of accumulated dogmas. We must talk to those who are open to dialogue and likewise be ready to listen to a responsible and sufficiently sincere opponent. The important thing is to create permanent formats both at a purely expert and expert-and-business levels. We should involve representatives of states and move forward towards a new quality of relations.